While most people are sleeping in after a long week, Luis Abella and Emily Masson are unlocking the doors and turning on the lights at Abella’s School of Dance for another Saturday rehearsal. Soon, the entire lobby will be packed with dancers eagerly awaiting their chance to perform in a very special installment of St. Augustine Ballet’s rendition of “The Nutcracker.” With only weeks before their tenth anniversary show, the directing duo knows that time is of the essence to solidify a seamless production. 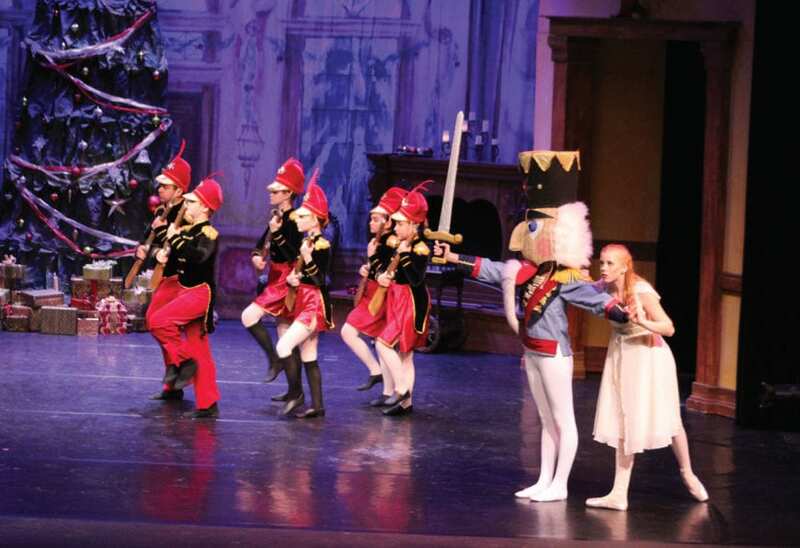 “‘The Nutcracker’ is a classic Christmas story,” says Abella. “It’s an international December tradition.” Abella, who opened St. Augustine Ballet in 2009, grew up dancing in his native country of Cuba. There, he graduated from the National School of Ballet in Havana. Abella’s career has since taken him all over the world and to various destinations in the United States. His passion for ballet and fine artistic detail have guided Abella on a successful mission of grooming the Old City’s youngest dancers into world class performers. “I have done professional dance my entire life. When I moved to St. Augustine, I knew that I’d be spending the rest of my life here. I wanted this to be a place where I could continue the art of ballet,” he says. With the show in its tenth year, Abella is proud of how much his dancers and staff have grown. “This year, we have the most high quality dancers we have ever had, and the clarity in which we tell the story will be the best it has ever been,” he states. 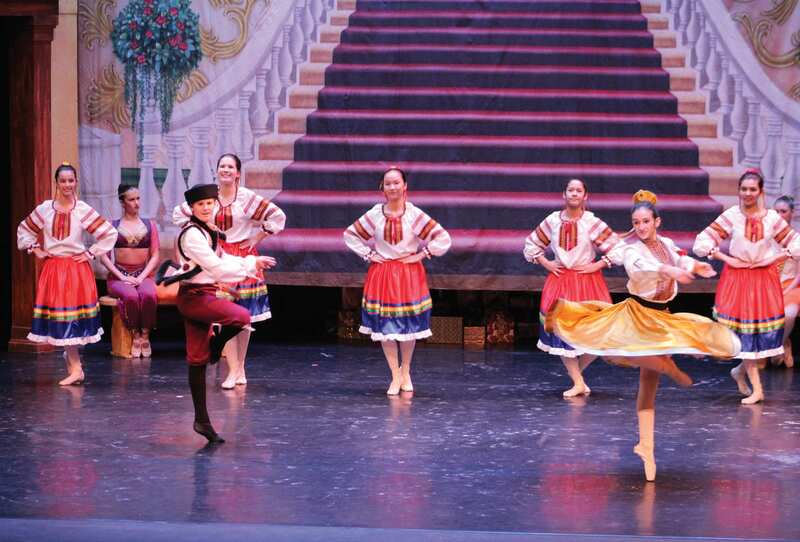 Among Abella’s highly talented group of dancers are eight male performers, the largest number to have ever danced in a single SAB Nutcracker Production. THE NUTCRACKER PROTECTS CLARA, PERFORMED LAST YEAR BY ELLA WIMPELBERG. 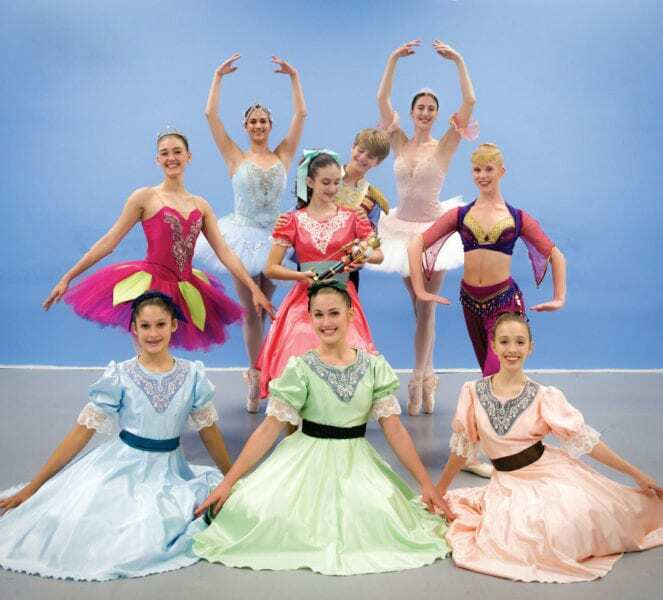 This year’s gifted Nutcracker cast includes leading roles by Jolynne Waldner as Clara, Grace Karger as Sugar Plum Fairy, Devin Mantei as Snow Queen, Eléa Woodward and Harlow Hatin sharing the role of Dew Drop, and Jake Karger as the Nutcracker Prince. The show will be performed live in the Flagler College Lewis Auditorium with four shows to attend, Saturday December 22nd and Sunday December 23rd at 1:30 PM and 7:00 PM. For more information visit the St. Augustine Ballet website.